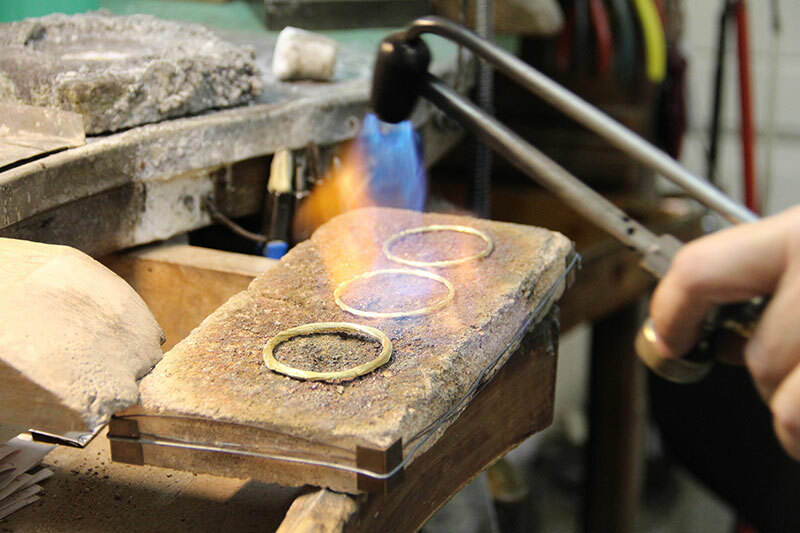 Our jewellery is the result of an artisanal process that is carried out entirely manually across all of the stages of production, from the initial design right through to the finishing. 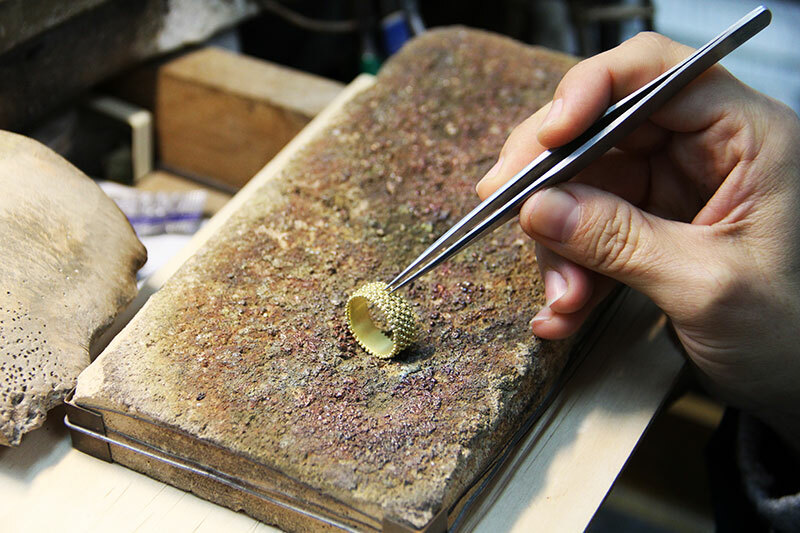 The pieces are produced using various processes, including the rigorously manual techniques of filigree, hammering, granulation and lost-wax casting. Painstaking care is taken over the finishing: in relation to our gold jewellery, the special, warm colouring of the pure gold we use is achieved by removing from the surface of the piece the copper and silver parts that compose the alloy, immersing the piece in an acid bath created using a time-honoured formula. 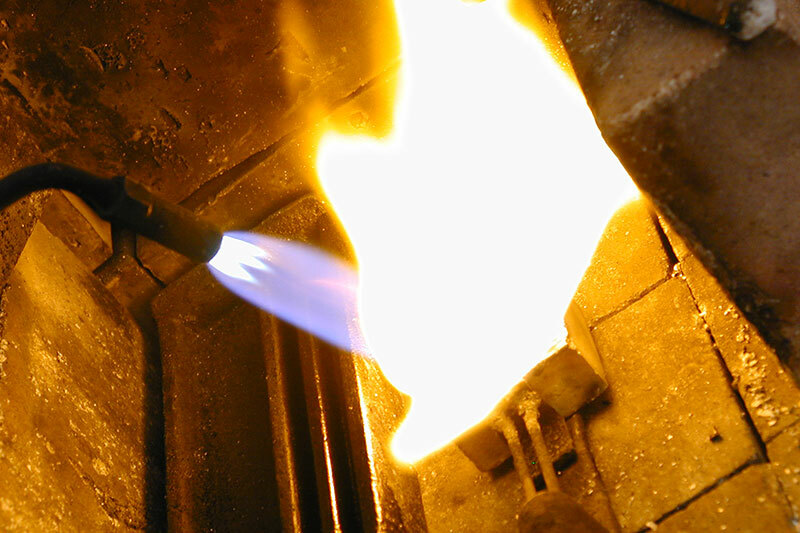 Specific burnishing techniques are deployed for our silver jewellery. 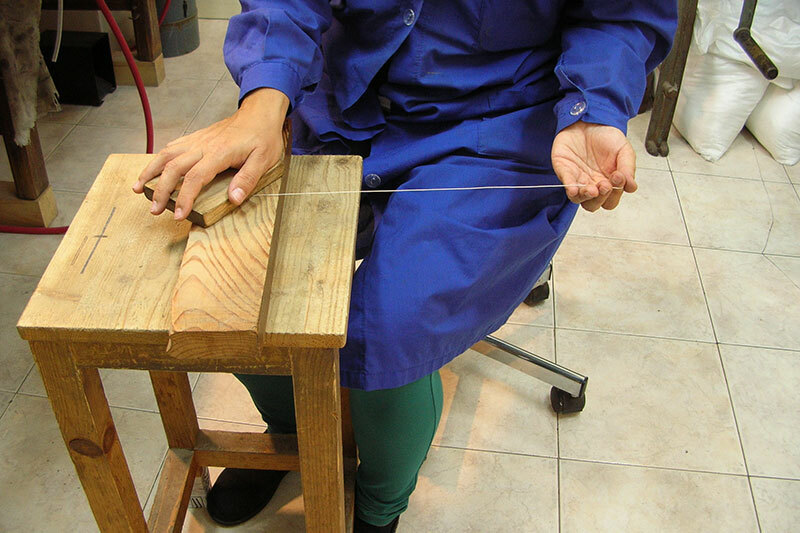 The various combinations of techniques and materials have given rise to several lines of jewellery that encompass an extensive range of rings, pendants, necklaces, bracelets, earrings and accessories.